Bengali's prefer to eat Sweet water or river fish as compared to seafood. 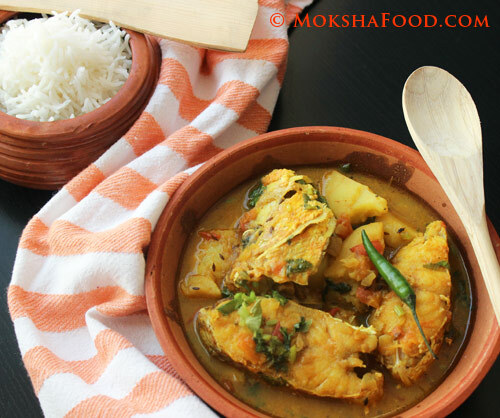 Traditionally Macher Kalia is made with Rohu fish. But it taste equally good with any carp fish like red or lane snapper. Fish heads are a prized delicacy. My daughter has cultivated a fancy for it and she's the one who gets the prize in our house. 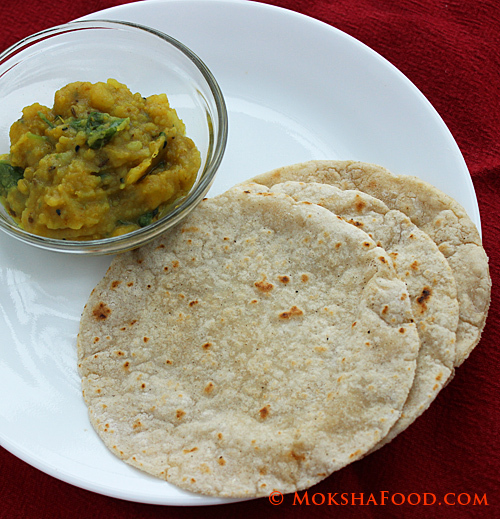 Bengali food gets its characteristic taste from the use of mustard oil. 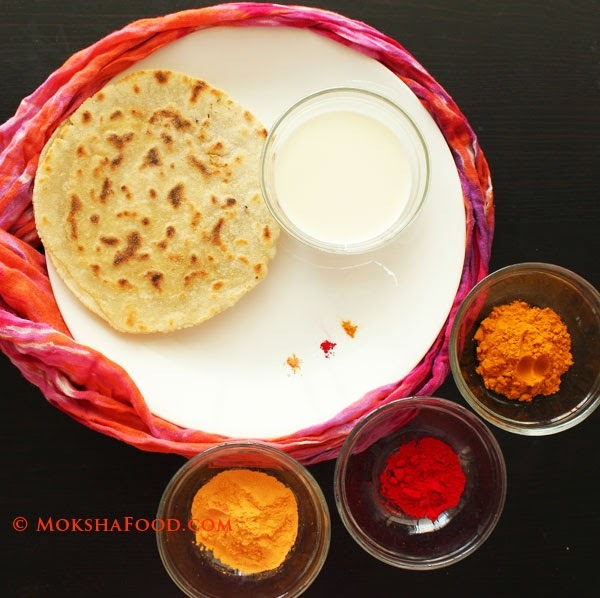 You can prepare this recipe entirely, partly or without mustard oil. It will affect the final taste. To make this recipe more healthy, pan fry the potatoes and fish instead of deep frying. I have tried both versions and it hasn't changed the taste much. Mustard oil needs to be heated to smoking point to reduce its pungent flavor. Then reduce heat and cook as usual. 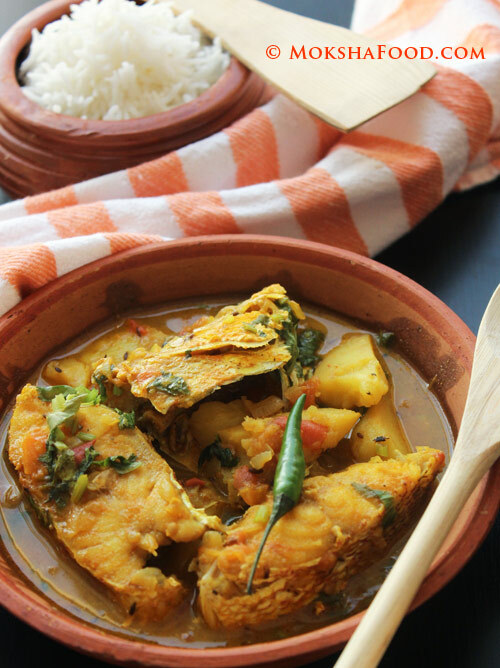 This recipe is traditionally made with Rohu fish but you can use other carp fish like snapper family (red, lane or yellowtail) or catfish to make Macher kalia. Wash the fish pieces and pat dry. Marinate with little salt and 1/2 teaspoon of turmeric. Keep aside. In a wok heat up some oil for frying. Fry the potatoes till they are half cooked and have a golden crust. Remove with a slotted spoon onto an absorbent kitchen towel and keep aside for later use. Fry the fish pieces till each one has a golden hue on both sides. Do not overcrowd the pan and be gentle as the fish tends to cooks quickly and can easily fall apart. Remove with a slotted spoon onto an absorbent kitchen towel. In a large saucepan, heat a tablespoon of mustard oil. Temper with bay leaf, cardamoms and cumin seeds and let them sizzle. Add the onions and saute till slightly browned. Add the ginger and garlic and saute for few more minutes. Drop in the chopped tomatoes and spice powders -turmeric, chili, cumin and coriander. Add in the yogurt, sugar and salt and mix well. Let this masala cook for about 7-8 minutes. Add about 1-2 cups of water according to the amount of gravy needed. Add the half cooked potatoes and bring the gravy to a boil and continue cooking till potatoes are almost done. Now add the fish pieces and cover and cook for 5 minutes. 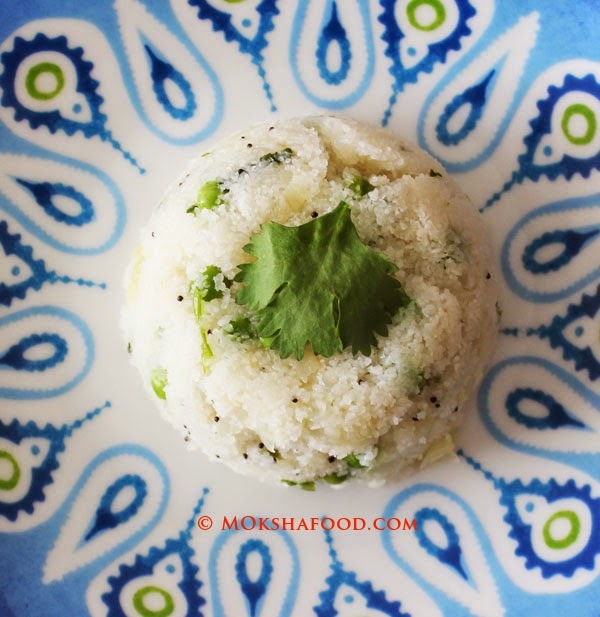 Lastly garnish with cilantro and serve hot with steamed rice.